In recent years, Asia-Pacific has firmly established itself at the epicentre of the global lubricants industry and the region continues to play an increasingly prominent role in the worldwide lubricants market. The fastest growing region for lubricant demand, Asia-Pacific accounts for approximately 44% of global finished lubricant demand. Clearly, rapid market changes provide an opportunity for growth. However, alongside the prospect of further growth in Asia “we face unprecedented challenges in our region,” says Vicky Villena-Denton, presenting ‘The Asian Perspective’ at the UEIL Annual Congress on 26 October 2018 in Budapest, Hungary. Denton foretells an indefinite future and ever-changing business landscape, including a variety of challenges that could significantly impact the market for finished lubricants, and consequently, base stocks and lubricant additives. 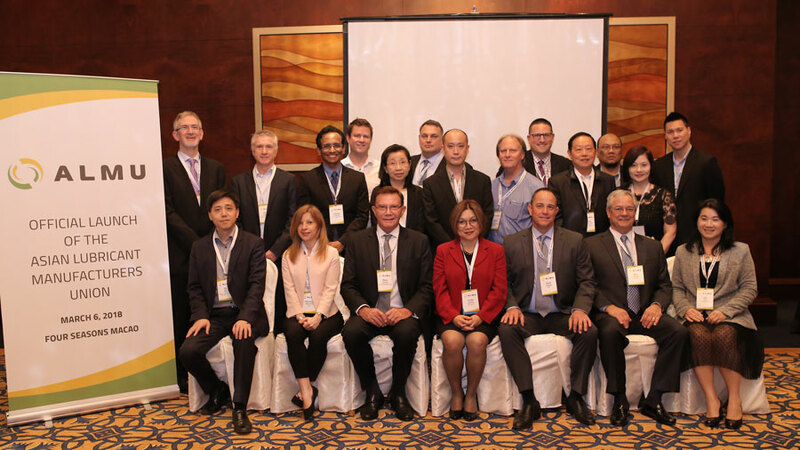 Denton spoke at UEIL in her capacity as founding director of the newly formed Asian Lubricant Manufacturers Union (ALMU), an Asia-wide organization representing the combined knowledge and expertise of lubricant manufacturers throughout the region. ALMU was officially launched on 6 March 2018 at the Four Seasons Macao. As of September, ALMU membership consisted of 80+ independent lubricant manufacturers, national oil companies and major oil companies, as well as suppliers, from 17 countries. A key objective of ALMU is uniting the Asian lubricant industry around extraordinary challenges that face our industry. The association is uniquely positioned to provide an insider’s perspective and, as such, has conducted a comprehensive market survey of its members to better understand their main concerns so as to be able to direct ALMU’s resources more effectively. The initial results covered more than a third of the member companies, representing 11 countries. Participants include companies ranging from only a few employees to multinationals with a headcount in excess of 5,000. The survey captures the perspective of new lubricant businesses and those that have been established for almost 100 years. ALMU market survey results shared with the UEIL Annual Congress included a consolidated view of the most pressing industry challenges identified by member companies. An updated survey result will be presented during the ALMU Annual Meeting to be held at the Grand Hyatt Singapore on 4-5 March 2019. Members cited concerns that Asia is still lagging in lubricant performance and quality levels. In many countries the medium to low-end market dominates with several respondents bemoaning an increase in low cost/low-quality products. At the same time, they cited the rising costs in doing business, arising from the higher cost of distribution and costs relating to environmental and regulatory compliance. Many acknowledged volatility in the Asian market both in terms of pricing and availability. Inconsistency and variability in raw material supply and quality was highlighted, alongside the rising costs and availability of raw materials. Unsurprisingly, changes in market dynamics due to disruptive technologies are of particular concern. The impact of electrification on lubricant demand and the role of vehicle ownership versus a sharing economy were central themes, with many Asian companies fearing significant reductions in lubricant demand in the foreseeable future. Counterfeit products have long been a stain on the manufacturing output in countries such as China, India and parts of Southeast Asia. The curse of counterfeit oils continues to be top of mind, with respondents looking to ALMU for support in the difficult task of addressing this undesirable practice. One respondent even suggested counterfeit oils are now popping up in Australia. The unwillingness of OEMs to share information on developments to specifications was quoted as a key knowledge gap, while some survey participants suggested most end users and OEMs in Asia have limited knowledge of lubrication needs — which makes lubricant selection and recommendation a challenge. Further, several members expressed increasing difficulty in attracting and retaining high-quality people. A reliance on legacy/obsolete industry specifications was identified as complicit in Asia’s lagging lubricant performance, with some companies suggesting it remains difficult to judge if oils formulated today are delivering the desired level of performance. A lack of enforcement to ensure the right lubricants are applied was also cited. ALMU members called on the trade organisation to identify the real barriers impeding the adoption of the latest lubricant specifications, particularly in Asian sub-regions such as Bangladesh, India, Pakistan and Sri Lanka. Can ALMU guide Asian Governments to mandate lubricant requirements so the industry can achieve a general quality upgrade across the board? Managing the complexity of different regulations on chemical registration and trade in a fragmented region is also proving difficult. Different REACH systems in different countries were highlighted, as was a lack of plans for harmonisation. Challenges around the environment and an unrelenting push for sustainability were central themes in the market survey — including the ongoing development of environmentally friendly lubricants for automotive, marine, metalworking fluids (MWF), etc. Many fear regulations around emissions and fuel economy are overly demanding and lament a lack of consultation with lubricant companies on emissions regulation. On the flip side, other survey responses highlighted the need for further persuasion of governments and associations on the importance of environmentally responsible lubricants and process oils. The responsible disposal of plastics for packaging of lubricants was another environmental concern. The relationship between China and the United States seems to be keeping Asian lubricant manufacturers on edge. Many cited high taxation tariffs, registration costs, trade barriers and unfavourable currency exchange rates as influential on business outcomes. Volatility in currency exchange rates, in particular, are making it increasingly difficult to import premium base oils and additives. ALMU and more frequent industry gatherings to exchange updates and ideas and develop a platform for cooperation. Partnerships with other industry bodies such as ILMA (Independent Lubricant Manufacturers Association) and UEIL to understand broader industry challenges and regional responses were also recommended. Finally, respondents suggested ALMU develop information management/market intelligence capability, and focus on industry advocacy to encourage the enhancement of lubricant standards. During her presentation, Denton outlined a variety of actions the ALMU Council has already undertaken including the establishment of subcommittees for technology & information, events & activities, governance, best practices & international relations, membership, and professional development. These five subcommittees are expected to commence their activities in October. Members are encouraged to participate in these subcommittees, which will be presenting their report on 4-5 March 2019 during the ALMU Annual Meeting and Global Leadership Summit in Singapore.